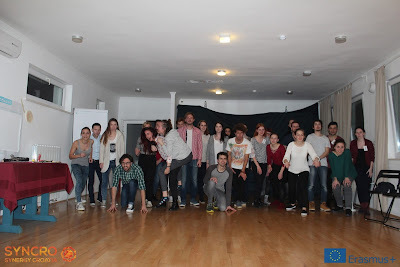 From 3rd until 9th of March wEUnite had the pleasure to take part in the second part of the Youth Exchange “I feel good” which was called “Music Makes Feelings” organized by Syncro Synergy Croatia. 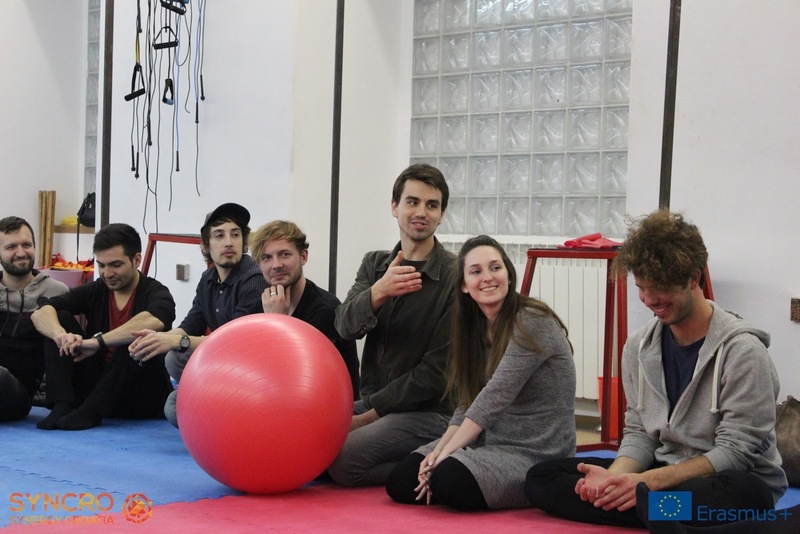 As the title already says, the participants explored their experiences and feelings about all that has to do with music while being in the beautiful city of Rijeka. 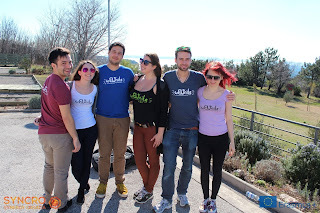 Pato, Tini, two Manuels, Marion and Nina started their journey to Croatia with lots of motivation and enthusiasm. And they came back happy and with many new songs stuck in their head! The first day started with great teambuilding activities in the sun. After finding all the seven dragon balls the participants could make a wish. They chose Karaoke, and magically, their wish was granted later that week! Apart from nightly jam sessions and cool activities in the hostel, the participants got the chance go to the city as a group. Half of them visited RiRock, an organisation that helps to connect youngsters with music through music lessons and providing them with places where they can practise, and the other half Radio Rijeka. Both trips were really interesting and everyone was happy sharing their impressions later in the big group. 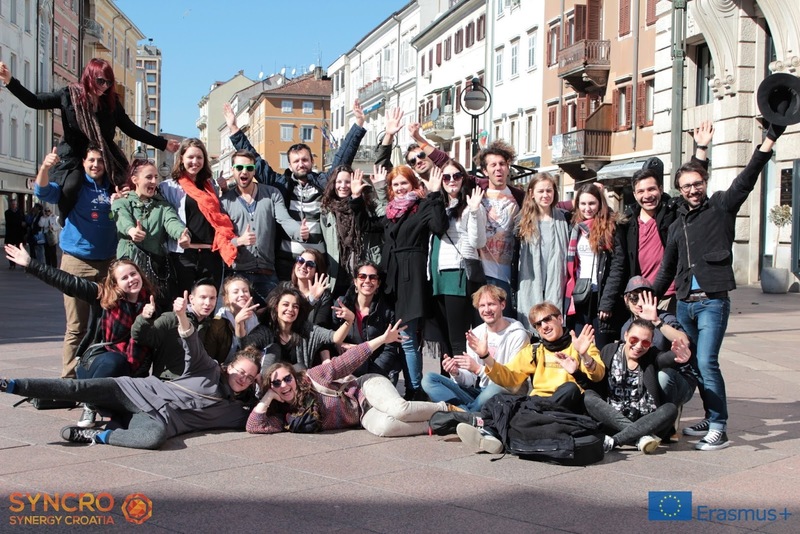 Another great experience was the flashmob that took place in the centre of Rijeka. It started with everyone standing frozen on a spot and then being “defrosted” by the tunes of “Don’t Worry Be Happy” played on the clarinet. The joyful atmosphere was enhanced by the sunny weather, and later everyone gathered for a picture. During “I feel good” the participants did not only learn about music and feelings, but also about different countries and cultures, numerous languages, their personal strengths and weaknesses (enhanced by acting out all Youthpass key competences during the city rally in Rijeka), the idea behind those Erasmus+ projects, and most importantly: they made friends. Spending a whole week with 30 people from officially 5 (but really more) different nations makes you see the world from different angles and understand opinions that differ from yours. You learn so much about others but also about yourself and your country as you talk about all the similarities and differences in your free time. 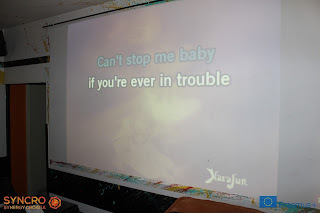 (Which was always a lot of fun, as you can see on the pictures below). 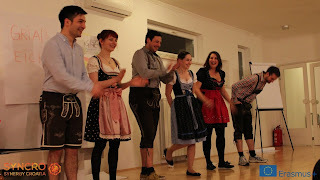 This was only my second Youth Exchange, but I could feel from the beginning that we all would have a great time together. Our group dynamic was just so purely friendly and full of positive energy. When thinking about it now, I feel really grateful to have been part of it and to have shared happy and sad feelings with such wonderful people. This YE was something very special. I think it was one of the greatest experiences that I could have ever had. Creating music out of nothing with people who are unique in every different way you can imagine. Starting from the first day on we all shared a deep connection together. It was being open-hearted and open-minded. In fact, it didn’t take us a day to learn all those names by heart just because we were so different. Some played an instrument, some didn’t. Some had their funny dance workshops some had their own private time with a companion at the seaside. And everybody was still part of this amazing group. We were one big amount of kindness and amazingness. Never have I ever … felt so emotional on a project. This Youth Exchange was not only interesting or just a good idea. It was timeless and sometimes breathtaking. Now I know that music truly makes feelings. After this project I really believe that “Music Makes Feelings”. Within this awesome week with so many great and lovely people, I learned and experienced a lot that helped me to grow once more. I feel so much better, so much more motivated and so much more positive than ever before. I am still overwhelmed by all these wonderful memories in my head. A big thanks and a lot of hugs to every single one of you! You made this project very special to me!